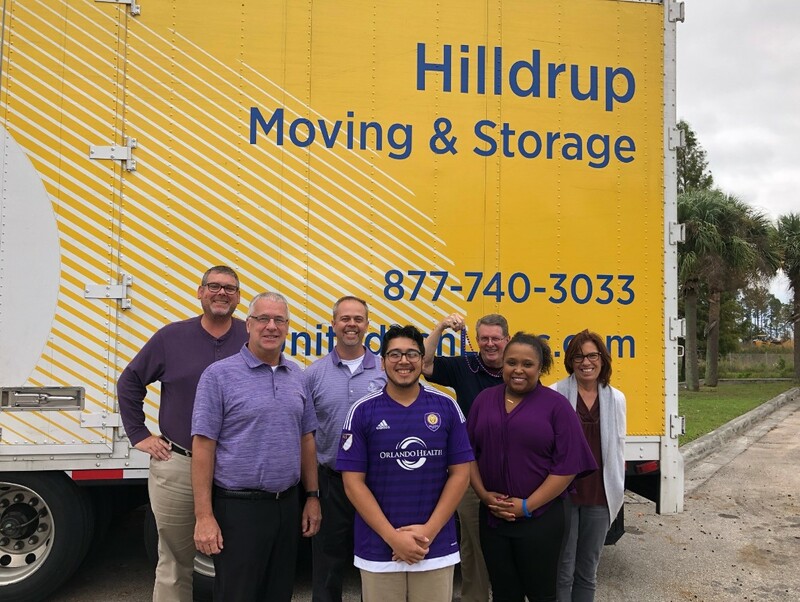 If you stopped by our Orlando branch on November 15th, you may have seen that our team was sporting a lot of purple – and for a very worthy cause! Team Orlando adorned their favorite purple attire on Thursday in support of World Pancreatic Cancer Awareness Day. Pancreatic cancer has the lowest survival rate among all major cancers according to the American Cancer Society. Together, with awareness, early detection and through further funding and research, more lives can be saved. Thank you to our Orlando team for showing your support! If you’d like to learn more about the signs and symptoms of pancreatic cancer, or make a monetary donation, please visit the American Cancer Society. Team Orlando was proud to support World Pancreatic Cancer Day on November 15, 2018 by wearing purple. From left: Jeff Swim, Operations Manager; Ed Fitzgerald, Vice President and General Manager; Shawn Lingwall, Local Dispatch; Ariel Hernandez, Commercial Coordinator; Howard Temanson, OA Coordinator; Chaundi Parham, Relocation Counselor and Belinda Romano, Office Manager.